It was battle between the two winningest teams in European basketball history, and a key game for both teams in the fight not only to make it to the playoffs, but also to get home court advantage: CSKA Moscow and Real Madrid met again, almost 56 years after their first ever showdown in the 1963 continental finals, and the game did not disappoint - great basketball, intensity, big plays and a noisy crowd pushing for the home team…exactly what Euroleague Basketball is all about. The game went down to who wanted it more, too. 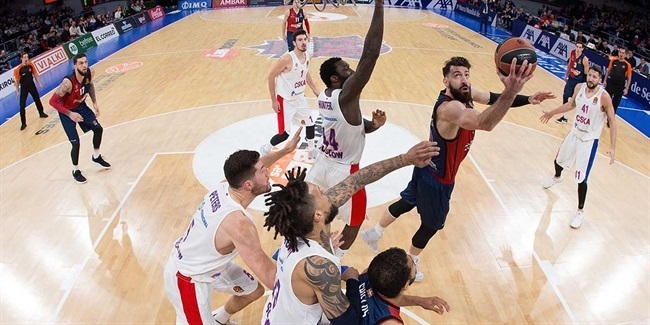 CSKA outrebounded Madrid by 40-28, and those extra 12 rebounds made the difference in a very balanced contest. CSKA pulled down 19 offensive rebounds, limiting Madrid to just 7, allowing a more aggressive CSKA to go to foul line more often. It was CSKA's fourth consecutive win, and the opening three of that sequence came without sharp shooter Cory Higgins. And despite not playing for three weeks, Higgins was ready to deliver as he made his return in a critical game. Higgins came off the bench at the start of the second quarter and had already scored twice - a jumper and a fast break layup - less than two minutes later. 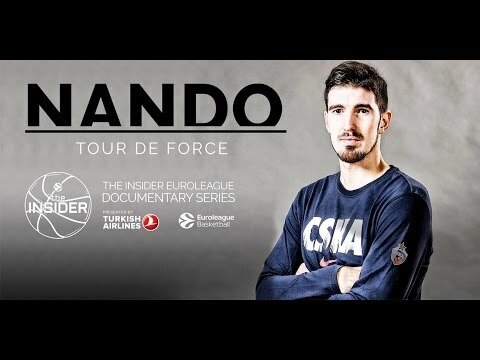 More importantly, he ended up scoring 7 of his 15 points in the final 5 minutes. 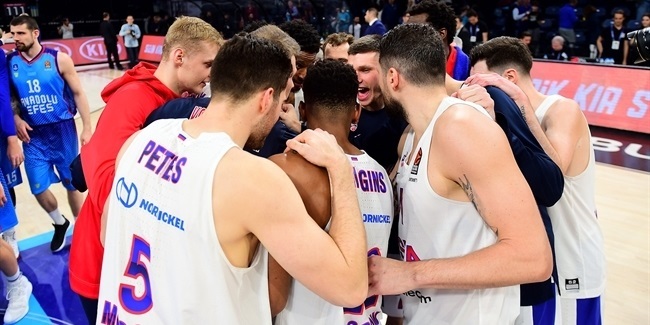 With the game tied at 68-68, Higgins found Kyle Hines for a layup and then scored consecutive baskets in an 8-0 run that put CSKA ahead for good, 74-68. Yes, CSKA was good without Higgins, but it is ever better with him on the court. "I think it was just an OK performance, most of the credit goes to my teammates because they gave me the confidence to keep playing and welcomed me back, but I am just happy to get the win in such a big game," Higgins said after the game. "I think that everybody trusts each other in this team and I don't think it matters the moment for me to come back. Like I said, it was all about my teammates. Again, I didn't think I was that good, but I think the biggest thing was just the loose balls. They beat us to a lot of loose balls in the first half and that translated to a lot of points for them. We changed that in the second half and I think that is why we got the win." 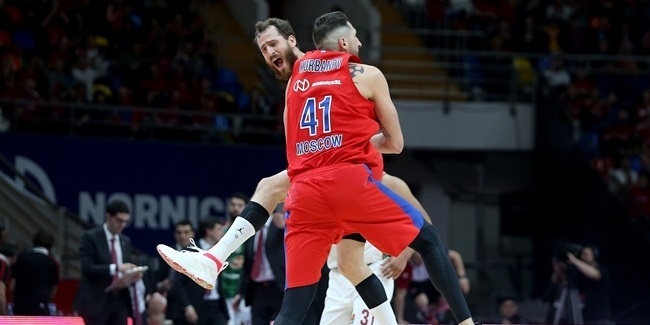 CSKA head coach Dimitris Itoudis was understandably delighted to welcome back such a key player, saying: "Everybody in the team is happy because we know about Cory's quality and the value he has as a player and as a person. Still, he is not at his best, he is going to need some time to make certain adjustments, but I am very happy that I have healthy players. Congratulations to Cory for the comeback." Most important of all, however, is that Higgins’ strong showing on his return allowed CSKA to beat Madrid for the second time this season, and the Russian team is now second in the standings with the tie-break advantage against Los Blancos - which could be critical for the Russian powerhouse in its goal to get the best posible home court advantage in the next phase.